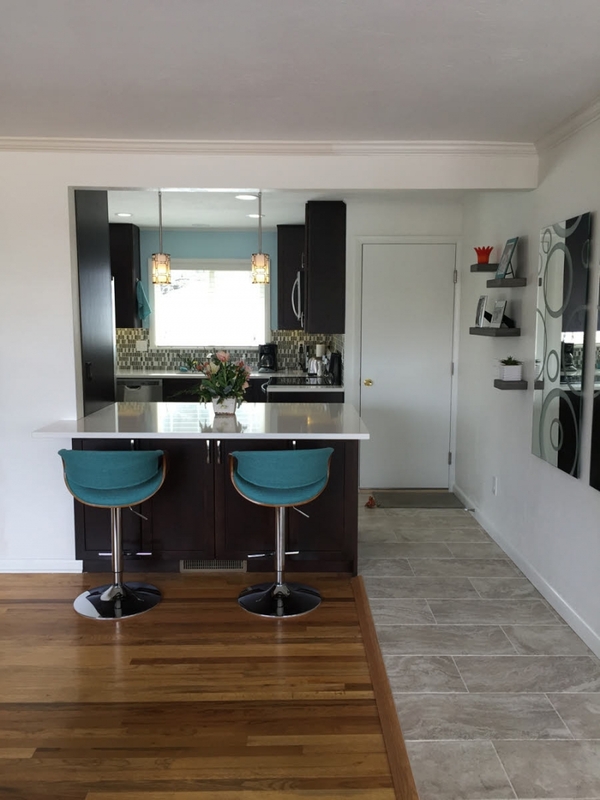 Dine-in or carry-out, this uniquely appointed kitchen remodel is the talk on the block. 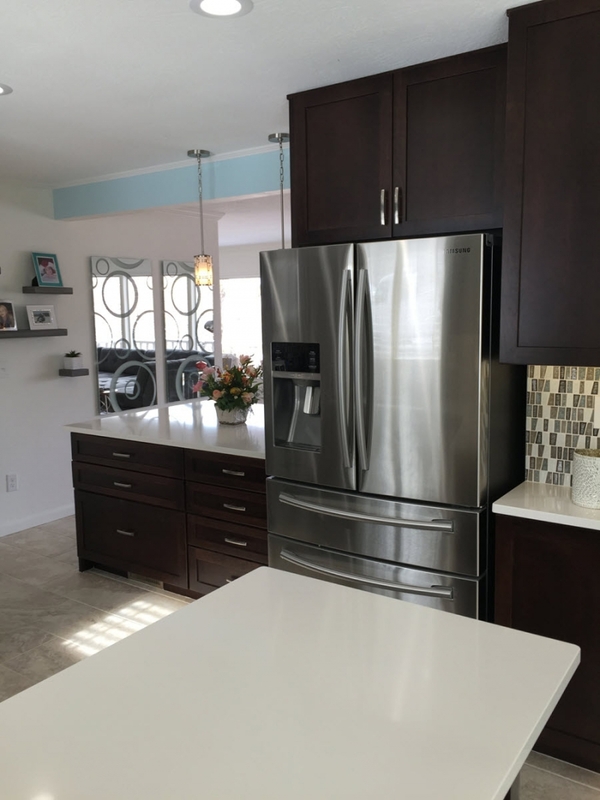 Dark mahogany toned cabinets (pre manufactured/semi-custom) stand in stark contrast with stainless hardware and appliances. 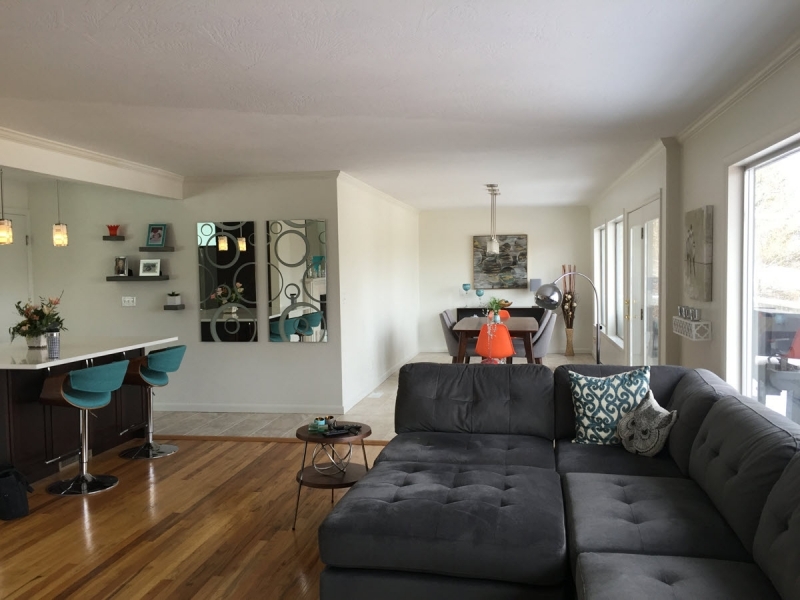 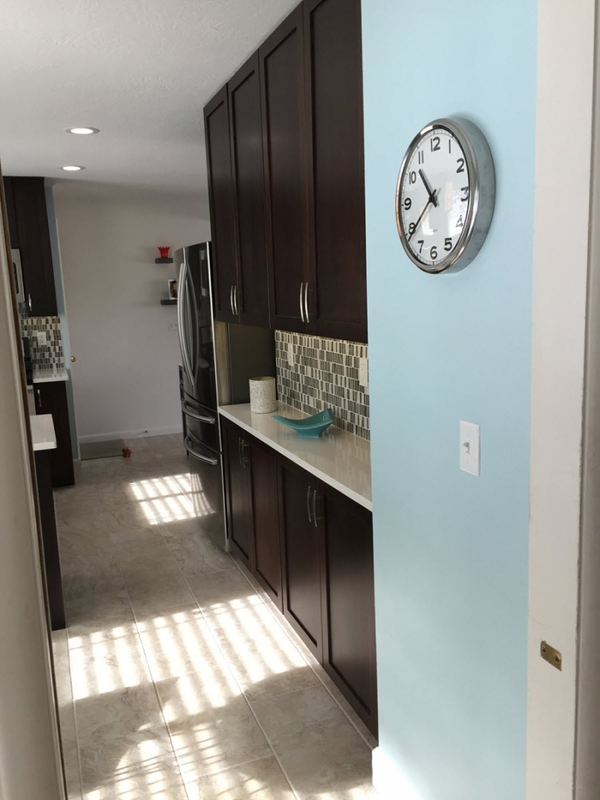 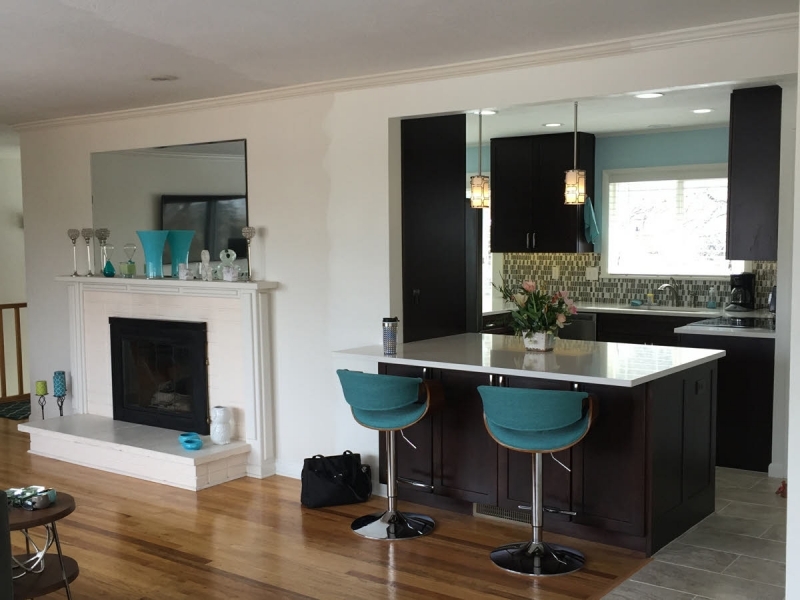 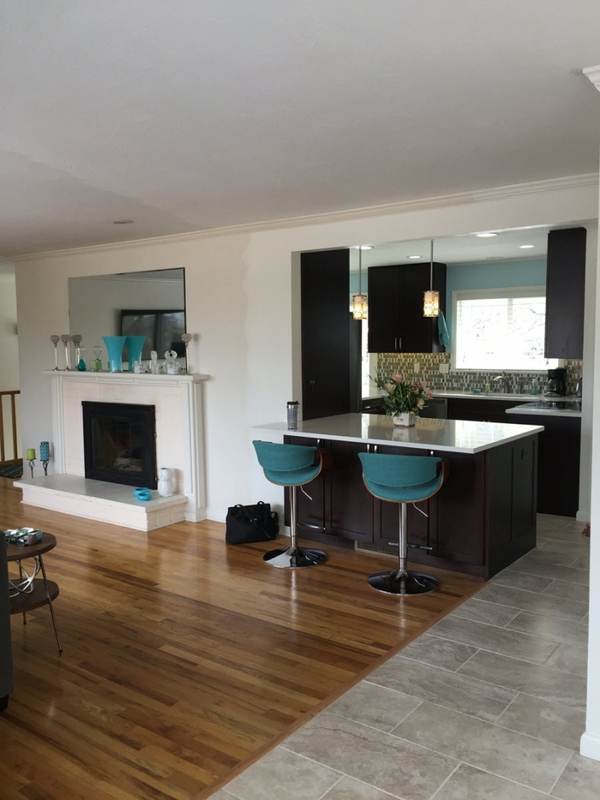 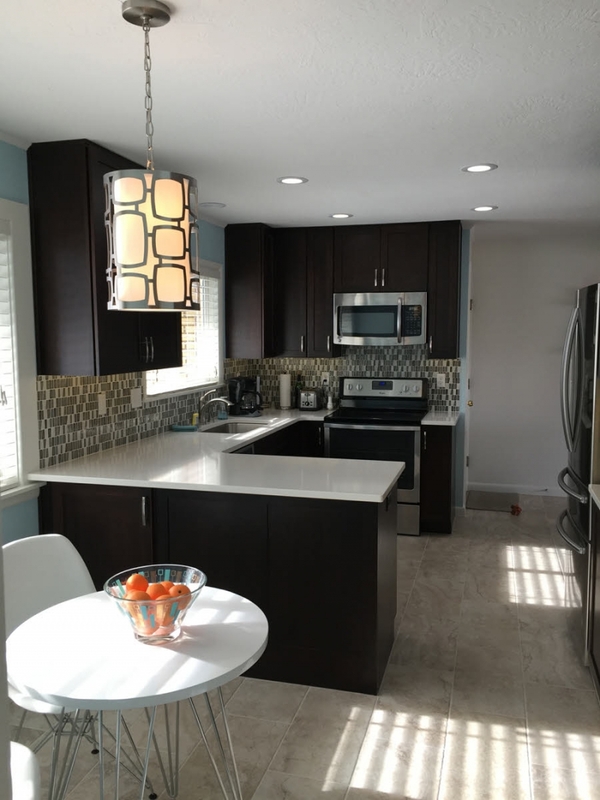 Quartz countertops, glass tile backsplashes, artisan light fixtures, and tile floors complete the look. 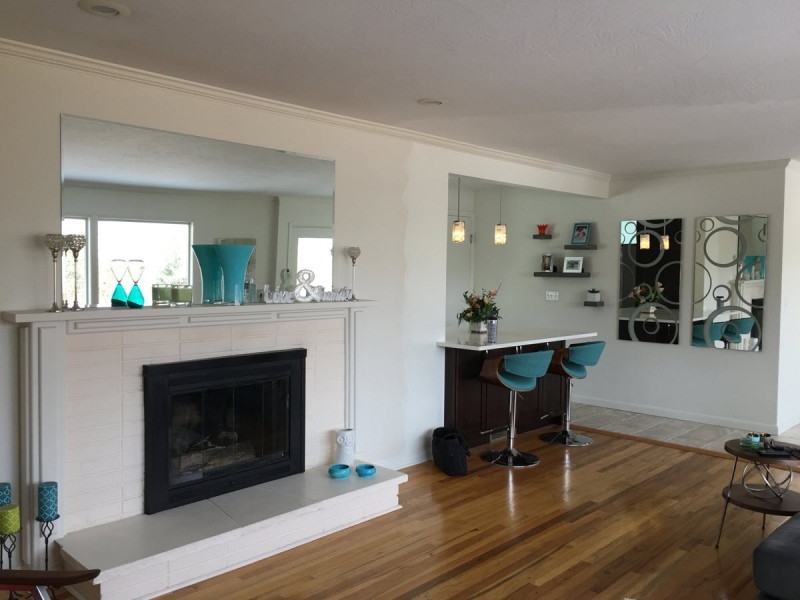 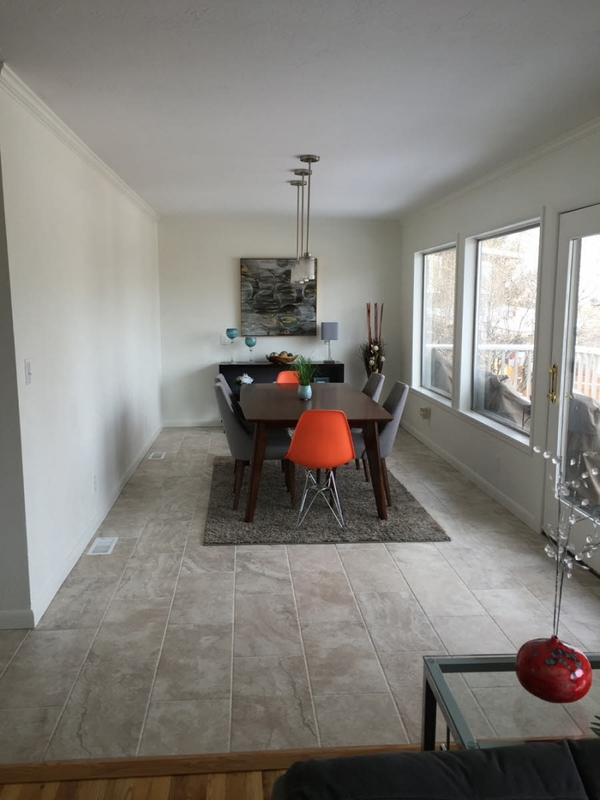 Removing the wall to the living area allowed for nice eating bar adjacent to the fireplace. 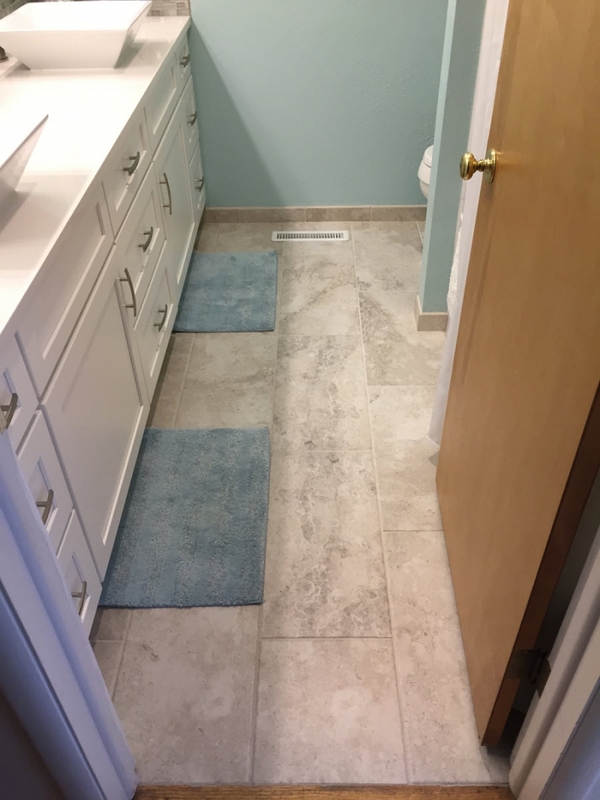 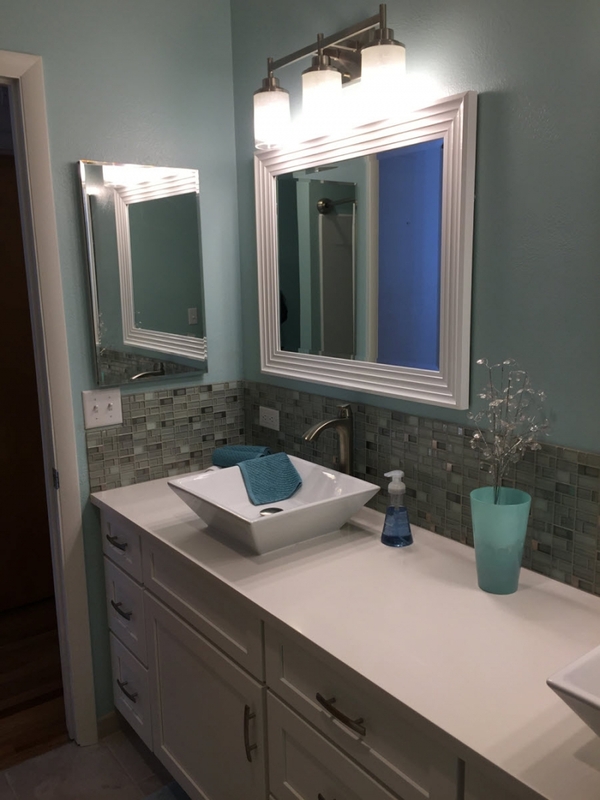 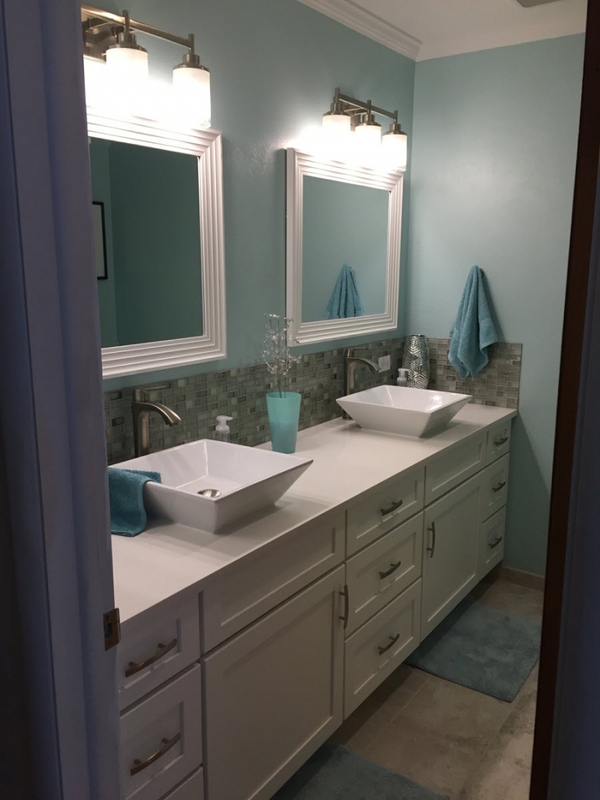 The bathroom remodel features white vanity cabinets (pre manufactured/semi-custom) with quartz countertops and above counter bowl sinks.